Line dancing is great for the socially challenged. There’s no need to find a partner. You don’t need to improvise your own choreography. If you can’t follow a beat, you can just follow the people around you. The steps are usually pretty simple, and if you don’t get them right the first time, you have about 75,000 more tries because they just keep repeating. 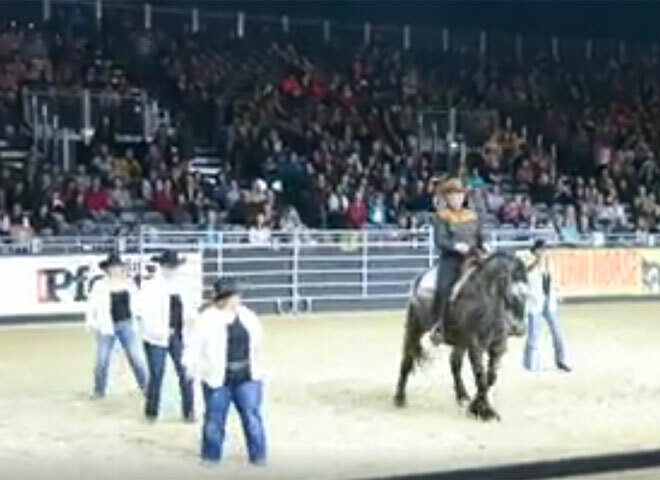 But just because line dancing is simple doesn’t mean it can’t be fun, as this great big tank of a horse demonstrates in this video from Equitana 2013 in Germany. 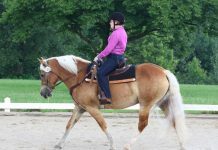 The horse keeps better time than most people!! Almost looks like he likes it too. Love the horse. Looks like a brabant. My boy likes to dance, but when I grab the camera, he stops! Must be shy, haha! That boy got the moves! Excellent, very nice to watch something so fun.